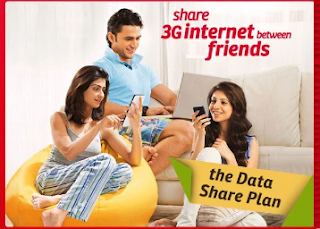 MyAirtel Family plan can be activated for free which allow you to create a group of 5 members including you and share 3G or 4G data pack with all 5 members. No sharing of 2G data packs is allowed. All Members will have unrestricted access to the 3G/4G data pack of the person creating the ‘family’ (Owner) and of any subsequent 3G/4G recharges by him/her. The Owner cannot allocate a portion of his/her data pack for sharing. If any member of the family, moves out of the Airtel Network of that particular circle to another network or Airtel network in another circle, they will be removed from the MyAirtel family automatically.